In all departments of life, abstract words play a most important part, and there are some pursuits in which the great mass of mankind never carry their inquiries further than is necessary to ascertain which of two or three party catchwords are on the whole most in harmony with the prevailing tone of their own minds. This is true of politics beyond all other subjects. A good party name saves all further trouble about the position of those to whom it applies. The broad differences between extreme political parties are always sufficiently well marked to admit of no mistake, and emphatic nicknames provide a rough and convenient classification to which all minor differences may be referred. The best party names are those which are absolutely unmeaning. The Montagne and the Gironde, in the French Revolution, were admirable in their way, and the Right, Left, and Centre of the constitutional period would have been equally good if they had not been deficient in that slight touch of grotesqueness which every durable nickname requires; the Hunkers, Barnburners, and Know-nothings of American politics, on the other hand, have it in excess, and are vulgar. On the whole, our own Whigs and Tories, perhaps, come as near to perfection as that human frailty which taints nicknames as well as other things will permit. The party names which aim not merely at identifying political parties, but at describing their principles, require more attention. Something may almost always be learnt from them; though it is generally something different from that which entered into the minds of those who brought them into fashion. For example, a curious history attaches to the use of the words "Republican" and "Democratic," as expressing a contrast in American politics; and the same is true in a higher degree of the words Liberal, Radical, Conservative, and their strange compounds Liberal-Conservative and Conservative-Liberal, which are so constantly in use amongst us at the present day. To discuss party politics would be foreign to the purpose of this Magazine; but an inquiry into the general bearing of phrases which exercise so much influence over all our thoughts and much of our conduct, need not involve anything like political controversy. The words "liberal" and "liberalism," like all other such phrases, derive a great part of their significance from the time when they were first invented. They came into general use on the Continent during the early part of the present century, and probably the first occasion in which they were brought conspicuously before Englishmen was when Lord Byron and his friends set up the periodical called the Liberal, to represent their views, not only in politics, but also in literature and religion. The Liberal met with little encouragement, and soon came to an end; but the same reasons which led to the adoption of its title, gave the word wide currency both at home and abroad, and especially on the Continent. Like all other significant party names, it embodied a boast and a reproach. Those who originally adopted it as their title said in effect, "The whole established order of things, political, literary, and religious, is narrow-minded and bigoted. We propose to reconstruct it upon larger and more generous principles; and, as the first step, we mean to break down what already exists." It does not often happen that a title adopted by one party is accepted by their opponents, as an appropriate description of them, but it has been so in this case. The party whom the word Liberal was intended to taunt, admitted that it did describe their antagonists not unfairly, and attached to it some such interpretation as this:—"Yes, you are liberal; that is to say, you oppose yourselves to all the restraints which the imperfections of human nature require, and you have constructed in your own minds a romance about mankind which is completely gratuitous, but which you find to be indispensable to your licentious theories. You either leave out of sight all that is dark and bad in human nature, or you gild it with fine names, which it does not deserve; and this may well be called liberal; but it is the liberality of a moral spendthrift, who, having thrown to the winds his own principles, is willing to indulge every one else to the utmost in similar conduct." The equal and opposite injustice of these two interpretations of the same word expresses much of the essence of that silent struggle of feeling which, for several generations, and especially during the last two, has underlain the open controversies which have agitated politics, literature, and philosophy. There can be no doubt that both parties had much to say for themselves. There was plenty of bigotry on the one side, and plenty of licentiousness on the other; indeed, each was to be found in slightly different shapes on both sides, and the general result of the controversy cannot be said to have been favourable to either side exclusively. On the one hand, we have seen great alterations made in the form, and some alterations made in the spirit, of almost all the doctrines and institutions which were formerly in undisputed possession of our national belief and affections; but, on the other hand, those doctrines and institutions have, subject to these alterations, and to such others as may be agreed upon, been maintained, and in their modified form are as firmly and as widely rooted as ever. The deep changes which have been made in our institutions have made no one permanent and fundamental change in the sentiments or conduct of the nation. Nothing in the history of England is more striking than its continuity. Hardly at any time, never in modern times, has any one class of the community succeeded in getting the bit between its teeth, and riding roughshod over the sentiments and interests of the others. The alternate and partial success of the two great parties which have struggled together so long, and with such qualified and intricate results, suggests the question what that moral principle is which gives them their strength, and what objects those who are animated by it would try to attain if they fully understood their own position, and were not biassed by temporary party objects. No doubt there are many such principles and objects, but some of them at least must be appropriately expressed by a word which has had so great a charm for a whole generation as "liberalism," for it should be noticed that even those who tried to affix a reproachful meaning to it, usually admitted that its natural sense was eulogistic; indeed, they often stigmatized the views which they denounced as being infested with spurious liberalism, or as falsely claiming the title of liberal. There can, indeed, be no doubt that the word "liberal" has a proper sense of its own, or that that sense is laudatory, for no one doubts it when it is applied to other than political purposes. 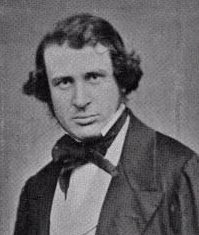 It never could be doubted that to qualify a man's profession or education as "liberal" was to pay him a compliment, and those who originally adopted the word as a party name meant, no doubt, to claim for their political opinions merits analogous to those which the common use of the word implies. The meaning of the word, considered as denoting moral excellence, comes very near to that which the usage of our own day is gradually identifying with the word "gentleman." "Gentleman" probably once denoted, as "gentilhomme" does still, nothing more than the fact that a man belonged to one of a certain set of families. By degrees it came, as logicians say, to connote the assertion that he had also the moral and social qualities which a person so descended ought to have in order to justify the superiority which persons of rank habitually claim over their neighbours. In our own days, though the notion of some degree of rank—such an amount of it, at least, as raises the presumption of a good education—is still attached to the word "gentleman," moral and social meanings connected with it are constantly assuming greater prominence, so that in course of time it may possibly come to be used simply as a term of moral approbation bearing no relation to the social rank of the persons to whom it is applied. Should this ever be the case, it would coincide in part with the proper meaning of the word "liberal;" but in part only, for "gentleman" and "gentlemanlike" imply nothing as to the intellectual powers of the persons to whom they are applied, whereas the word "liberal" implies the possession of mental excellences cognate to the moral qualities which are its proper objects. If, therefore, the words "liberal" and "liberalism" were applied to political opinions and parties in their proper sense, they ought to denote, in the persons and parties signified, generous and high-minded sentiments upon political subjects, guided by a highly instructed, large-minded, and impartial intellect. Liberalism, in a word, ought to mean the opposite of sordidness, vulgarity, and bigotry. As generally used, however, "liberal" and "liberalism" are rather proper names than significant words, and denote in politics, and to some extent in literature and philosophy, the party which wishes to alter existing institutions with the view of increasing popular power. In short, they are not greatly remote in meaning from the words "democracy" and "democratic." The historical reason of the connection between the two is, that those who first introduced the words in their present sense complained of the narrow-mindedness and bigotry of the state of things then existing, and proposed to introduce a higher conception of the ends and means of public life by an appeal to the people at large. To a great extent they have succeeded in attaining the means which they desired, and others have obtained it even more completely. Popular power has increased vastly during the last half-century in our own country. In America and France it reigns without control, though under different forms; but the great political problem of the day—a problem infinitely more important than all party questions put together —is whether the second half of the hopes of the original liberals will be as widely fulfilled as the first; whether they will succeed not merely in increasing the power of the popular voice, but in raising thereby the general tone of public life, and in causing it to be pervaded by a higher conception of the objects of national existence. If they do succeed in this, they will have done a great thing; if they do not, they will have inflicted upon mankind the greatest of all curses—a permanent degradation of human life. There are and may be endless controversies about forms of government and society; but one point is established almost beyond the reach of controversy. Once place the sovereign power unreservedly in the hands of the bulk of the community, and, whether they exercise it themselves, or delegate it to a single nominee, reform, by any process yet discovered, is at an end. This or that detail may be altered by discussion, but the general type of the national existence, the general objects and principles of its politics, are settled for ever. All political reforms spring from conflicts amongst the different parties, national or political, which constitute the body politic. Either the king calls in the people against the nobles; or the nobles ally themselves with the people against the king; or the people press the king and the nobles to give up a share of their joint power; or the clergy connects itself with one or more of the different constituent elements of the nation against the rest; and, as in every political struggle, each side is obliged to appeal to principles recognized by both, the result of such contests is often favourable to the whole nation. One party, for example, will seek to advance itself by its foreign policy, another by its advocacy of internal reforms, and so on. When, however, the bulk of the nation has, once for all, possessed itself of sovereign power, there is no more room for conflict and change than there is for currents and waterfalls, pools and eddies, when streams, whose channels cross, diverge and meet again on the mountain side, have united to form a calm, lowland river. A country which has reached the point of social and political equality will regulate its affairs according to the prevalent temper of the majority. The average mental level of the great mass will predominate with undisputed and indisputable force, and will fix the position and career of the nation as irresistibly as the social position of a middle-aged man, whose character is formed, is fixed by the general tone of his mind and the nature of his pursuits. This being so, it is of the last importance that all who wish the triumph of liberalism to be a blessing and not a curse should endeavour by every means in their power to impress upon those whose political influence has been so much increased, the importance of the positive side of liberalism—that side which regards the end to be attained—a high and generous conception of national existence, and a policy to correspond with that conception. We have all been taught, almost to excess, that all the blood of all the Howards cannot ennoble slaves, or fools, or cowards. It is far more important in our days to bear in mind that the truth is universal. A tinker or tailor may be as great a slave, fool, and coward as the heir of the proudest name in England; and if he is, votes and ballot-boxes will only degrade him further. If our labourers and mechanics are to legislate, their first need is to learn something of the spirit of legislators. If they are called, as they are often told, to rule a world, let them catch the imperial spirit. Whether our rulers are to bear the most famous or the humblest names, is of little moment; but whoever they are, let them, at least, be statesmen, scholars, and soldiers, fitted, as one of the greatest of Englishmen puts it, to discharge discreetly and magnanimously every office of war and peace. It is possible and not uncommon to call upon the mass of the people to enter upon the government of the country in a different temper from this. There are those who point to the institutions of their country, and say to their hearers—You have at least broken the gates and scaled the walls of the stronghold of your enemies—of those who enslaved your fathers and oppressed yourselves—who, for their own vile and selfish objects, wasted your money and squandered your blood upon useless or criminal enterprises. Now enjoy the victory you have won; pull down the monuments of your disgrace, root up the institutions, destroy the sentiments, repeal the laws which were the work of the horde of tyrants who soon will be at your mercy, for are not their armaments and their offices mere nests of corruption? Are not their laws made on purpose to ensnare and to enslave? Would not their church persecute if it did not dote? Turn over a new leaf and open a new chapter in the history of England ; renounce the criminal ambition which has borne such bitter fruit; prune away the institutions which trained the minds and consoled and guided the souls of the evil race on whom you have turned your backs; and having gratified your just indignation, live at ease amidst your mills and corn-fields, and let the England of the future look back upon the England of the past as on a bad dream which has passed away. For many years past such exhortations have been put before Englishmen in various shapes. Popular speakers have addressed them in express words to crowded audiences; popular writers have insinuated them by the help of fiction, of irony, and of satire into the minds of audiences infinitely more numerous. It would be as invidious as it would be easy to specify books which have found their way to millions of readers, and which by their general temper and flavour, if not by their specific teaching, have preached such doctrines in their most seductive form—a form all the more seductive because it was indirect. The most careless reader of the endless books which in our days are written expressly for careless readers, cannot have failed to understand the sentimental sneer with which some of our most popular writers contrast the follies of men of rank with the virtues of impossible artisans; or the chuckle with which they illustrate by details, the impossibility of which neither they nor their readers have sufficient knowledge or patience to understand, the iniquities of the law and the corruption and blunders of the Government. Whatever form such doctrines may assume, their essence is the same. Whether, as may sometimes happen, they are elicited by genuine indignation against real abuses, or, as must often be the case, by envy, the vilest of all vices, they are suitable not for men who have any notion of freedom and self-respect, but for slaves broken loose; and thus they are as insulting to those to whom they are addressed as to those against whom they are levelled. The spirit in which a politician who deserved the title of liberal would call upon the bulk of the population to take an increased share in the government of the country would be the reverse of this. He would look upon himself as a man charged to introduce to his estate an heir who had attained his majority; he would teach those whom he addressed to see in the institutions of their native land neither a prison to escape from nor a fortress to storm, but a stately and venerable mansion which for eight centuries had been the home of their ancestors, and in which they were now to take their place and play their part. He would try to fix their attention, not on the petty side of institutions, which little men can always think of in a petty spirit, but on their dignified aspects; and he would show them how that dignity was, in a vitally important sense, their own. "You," he might say, "are now to share the government of the country with men whose ancestors have for centuries taken a leading part in it, and who owed their greatness to the fact, that they inspired your ancestors with trust and confidence, and took the lead in enterprises in which they eagerly followed. When you see a man bearing a name which for centuries has been illustrious in pesce and war, and which is decorated by estates and titles, you should regard him—not with the petulant envy which hopes nothing, believes nothing, and endures nothing; which thinks evil of every one, and rejoices in every man's iniquities, because they are the garbage on which it is fed—but with a generous and lawful pride, as one of the representatives of that national greatness which is the common inheritance of us all. The value of rank and titles is derived, not from their intrinsic glitter, nor even from the old associations connected with them, but from the fact that they designate their possessor as one of the leading men in a great nation. Who honours a Sicilian marquis or a Mexican field-marshal? An English title is worth having, because it gives rank in England, and the value of rank in England is derived from the greatness of the English nation. A powerful and splendid aristocracy is to a nation what his house and grounds, his picture gallery and library, are to a nobleman. Magnificent and orderly splendour is one of the rewards of ages of peace and concord, and one of the pledges of their continuance. To grudge its expense and to deny its utility is the part, not of liberality, but of stinginess." There is no point which a true liberal would be more anxious to impress upon the bulk of the population in connection with their accession to political power, than the vital importance of forming a lofty notion not merely of the splendour and of the history of their country, but of the part which it has to play in the world, and of the spirit in which it should play it. It is a difficult task to impress such views upon any body of men, and the difficulty increases in direct proportion to the ignorance and poverty of those who belong to it. An ignorant man cannot without great difficulty rise to anything like an adequate conception of the importance and permanence of the results of national policy. A poor man feels at once the sacrifices which such a policy often entails, and ignorance and poverty foster those petty, huxtering, narrow-minded views of both this world and the next, which are the greatest enemies of the policy which befits a great nation. It has become a secondary commonplace to deny that a little knowledge is a dangerous thing, and to accumulate proofs of the not very surprising fact, that of the many meanings which may attach to a pungent saying, some are not true; but it is not only true, but most important, that to have inadequate views of great subjects is often a greater evil than to be completely ignorant of them. No sort of ignorance is so presumptuous, intolerant, and confident as the ignorance of all that lies outside of a trivial familiar range of thought. Hardly any night is so dark as to exclude the idea of space. Even if the moon and stars are not to be seen, and if the outlines of the landscape are blotted out, the clouds, the mist, and the indistinct forms of surrounding objects half perceived through the darkness, give a notion—sometimes a most powerful one—of vastness and grandeur; but a person sitting in a small room, well lighted by a single candle, and carefully protected by blinds and shutters, may be excused for forgetting for the moment that the world is more than ten feet square. In the same way it is easy to produce a profound and even tremendous effect on a mass of completely ignorant people, by an appeal to their sympathies or imaginations. The audience whom Peter the Hermit stirred up to the crusades were as ignorant as their impulses, on the whole, were noble; and much of the enthusiasm of which the French Revolution was partly the cause and partly the effect, was directed towards great and not ignoble objects, though it was felt by the most ignorant population in Europe, and though it was often abused by the basest leaders to the vilest purposes. This sort of ignorance, and this sort of enthusiasm, is not what in these days we have to deal with. No one who really knows England or Englishmen would seriously entertain the slightest hope or fear that the policy of the country will ever be directed or even affected to any considerable extent by passionate popular movements directed towards large general objects. There is no chance here and now either of a revolution or of a crusade. If we want to see how the transfer of political power to the bulk of the population would affect the general tone of the national policy, we have only to look round us and to see what sort of topics interest the classes in question, and what is the manner in which they like to see them handled. The evidence upon the subject is ample. It may be collected from newspapers, from popular magazines, from the experience of candidates at elections for large places, from the open-air discussions upon politics, theology, and other subjects which take place wherever labouring men have a little leisure, open space, and moderately fine weather. Any one who studies these various kinds of evidence with anything like the attention which they deserve as indications of the character of those who are often regarded as the future rulers of this great nation, will be led to form conclusions materially different from those which a very influential class of popular writers suggest. Formerly labourers, mechanics, and small shopkeepers were represented by almost all writers, whether popular or speculative, as ignorant and foolish in the highest degree, or, at any rate, as quite incapable of having an opinion upon any but the commonest affairs of life, and as requiring, even in reference to such affairs, the constant superintendence and advice of their social superiors. This view of the case was obviously unjust, and was succeeded by another which still has many influential partisans, though it is quite as untrue, and perhaps even more dangerous. For about twenty years past, the "working man" has been the subject of a sort of apotheosis. Some of the most popular writers in the language delight to contrast his ardent thirst for knowledge, his grasp of facts, his rugged strength of character, his forcible language and expressive metaphors, with the tame and somewhat feeble propriety which is ascribed to persons in easy circumstances. The novels of Mr. Disraeli (who was one of the earliest promulgators of this theory), Mr. Dickens, Mr. Kingsley, Mrs. Gaskell, and those of almost every other writer whose works are much coloured by the notion of great impending political changes in which the bulk of the population are to play a conspicuous part, are filled with delineations of stern and somewhat terrible working men, who are always embodying profound observations in studiously bad grammar, and hinting that they have a knowledge of secrets and a control over powers which would frighten out of their propriety the actual possessors of political power, if they were but aware of them. So strong was the impression produced by these and other writers of the same sort, that ten years ago a young man fresh from college was heard, after an hour's conversation with a Manchester mill hand, to express his surprise that he could not conscientiously say that his acquaintance appeared to him superior to the average of the undergraduates to whom he had been accustomed. If the young gentleman had continued his researches, his scepticism would probably have been largely increased. Any one who is accustomed to watch the way in which real mechanics and labourers talk, speak, and argue, and to observe the tone of the books and newspapers which they really like to read, will see that there is more difference, and a more durable difference, between minds which have and have not been formed by a liberal education than between the bodies of a sedentary invalid and a trained athlete. The general impression made on the mind of a person who knows what the conversation of men of really high instruction is like, by the arguments of a knot of intelligent mechanics upon politics or theology, is remarkable. It is, that he is talking to men who have never learned to use their minds, and who, if they had learned to think, have hardly any materials for thought. The subjects which attract their attention are almost always matters which have been left far behind by the general course of thought, and in politics especially are either trivial, or, if important, are treated in so narrow a way as to make the truth or falsehood of the conclusion ultimately reached almost entirely a matter of chance. At a late contested election for one of the metropolitan boroughs, the question which really came home to the hearts of the electors was flogging in the army. What they really cared about—the observation on national affairs which it appeared to them essential to make—was, that flogging in the army was a bad thing. This supplies a good specimen of the way in which uneducated men must of necessity regard politics when they are not under the influence of temporary gregarious excitement. They have never had an opportunity of looking at anything whatever comprehensively. Their literary education, such as it is, is usually over, even in favourable cases, before they are twelve years old, and from that age they are engaged, with few exceptions, in learning and applying processes which, in themselves, have no tendency to develop any of the higher powers of the mind. A man, for example, is a carpenter, and by practice acquires a certain facility of eye and hand which enables him to guide his tools right, and to measure the quantity and direction of the effort to be made; but there is nothing in this which teaches him to classify, to distinguish, or to infer. Part of his leisure he passes in reading—principally the newspapers; but he has no occasion to labour at his reading, and he gets little more from it than a stock of ready-made sentiments and opinions, and a certain familiarity with language which is generally more pretentious than expressive. The real intelligent mechanic is not an uncouth Titan, struggling against Etnas which society has piled upon him, but a sturdy, ingenious, sensitive man, with little knowledge and narrow and slightly-made opinions. Such as they are, however, the opinions of a slightly educated man are opinions as well as any others, and the collective power and numerical importance of slightly educated people is so great, that they effectually keep each other in countenance, and conceal from each other's observation the fact that their education is slight, and that their views are narrow. Nor is this all. By degrees, the existence of so large and influential an audience attracts preachers and advocates suited to its capacity. Men are found to construct theories of all sorts adapted for its belief. Booksellers know well that there are several distinct literatures adapted to the wants of readers of different calibres. Some of the most popular novels that ever were written, novels sold by tens of thousands, are utterly destitute of all the literary qualities which any high or careful education would produce or require in an author. Sermons which find, perhaps, as many, readers as the novels are absolute nonsense, full of blunders, which nothing but the grossest ignorance could commit or fail to detect. Newspapers are, by far, the best written part of the literature which circulates widely amongst artisans and mechanics, and they, from the nature of the case, must always be written to be read in a few minutes, and forgotten as soon as they are read. By these and similar means, a curious result is, in course of time, produced. Slight plausible theories upon all sorts of subjects are invented and made to pass current amongst mankind with a strange facility. People get their minds filled with rather reasonable sophistry, which they do not, in the least degree, suspect to be sophistical. A set of secondary commonplaces (like that referred to above, about the benefits of a little knowledge) are made popular, and not only look like real opinions, but exercise as much weight over public affairs as if they were real, if not more. A curious proof of this is to be found in the habitual language ot newspaper writers, even the best of the number. They constantly appeal to what is eulogistically described as a "healthy popular sentiment," a "popular instinct," and rest the claims of statesmen to influence and office on the fact that they succeed in hitting the exact line which such sentiments or instincts approve. A good illustration of this .was lately afforded by the most influential paper in England. In discussing the question whether or not clergymen ought to be allowed to preach certain doctrines which were admitted to be unusual, it became necessary to say something of the limits within which it was desirable to circumscribe their liberty. The limit laid down was neither truth, which might have occurred to some, nor orthodoxy, which might have occurred to others. It was simply this—that clergymen ought to publish nothing which they ought not to preach, and that they ought to preach nothing which could shock or startle ordinary fathers of families. It did not appear to occur to the writer that ordinary fathers of families might be very ignorant and narrow-minded, and might never have paid any attention to theology, or that it would make any difference whether or not this were so. His view was, that the use of the clergy was to preach the kind of matter which the congregation, rightly or not, liked to hear. If he went out of that circle, he might be a great philosopher, a sound divine, a good man; but he was not fit to be in charge of an English parish. The general sentiment of the congregation was to decide what was to be preached to it, and if that sentiment was in any respect blind or defective, it was to improve and enlarge itself; it was not the business of any constituted authority, ecclesiastical or civil, to enlarge or improve it. It is in this danger of deifying almost casual public opinions and slight and ineffectual public sentiments that the danger of political liberalism lies; and it is just the danger to which it ought to be most deeply alive, and against which it ought to take the most careful precautions, if it is ever to redeem the pledge which its title implies. Those only are entitled to the description as well as to the name of liberals, who recognize the claims of thought and learning, and of those enlarged views of men and institutions which are derived from them, to a permanent preponderating influence in all the great affairs of life. The highest function which the great mass of mankind could ever be fitted to perform, if the highest dreams of the most enlightened philanthropists were fully realized, would be that of recognizing the moral and intellectual superiority of the few who, in virtue of a happy combination of personal gifts with accidental advantages, ought to be regarded as their natural leaders, and of following their guidance, not slavishly but willingly, and with an intelligent co-operation. It is in the hands of such persons only that national affairs will be handled in a magnanimous and truly liberal temper, and that the vast wealth and power which ages of peace and plenty have stored up can be directed to adequate purposes. Up to the present day minorities, which have generally been open to the influence of broad and high-minded views of the objects and character of national existence, notwithstanding faults which went far to counterbalance even that merit, have, with immense exceptions and interruptions, governed most of the great European nations. They were enabled to do so by institutions which are now almost universally broken down. Notwithstanding great baseness, much corruption, and infinite shortcomings of every kind, national affairs have, in modern Europe, been carried on on a magnificent scale and with glorious results. Institutions and the vestiges of them exist in every nation, and especially in our own, which still testify to the noble views and generous confidence of those who founded them, and which have proved by their history that those views were not unsound, and that that confidence was not altogether misplaced. To take one instance amongst many, was not a firm belief in the notion that theological truth is both important and attainable, shown by the establishment of Christianity in a legal form and with proprietary rights in every nation of modern Europe? and was not the wish to guide the minds of men towards what was looked upon as the highest form of truth in itself liberal and noble? It is usually regarded, and possibly with justice, as a great discovery of modern wisdom, that governments have, as such, no religious character or duties whatever. This may be quite true; but if it is a truth, it is one which lowers our conception of the importance of governments, and diminishes our interest in their proceedings. One of the principal characteristics of our day is the facility with which people agree to differ upon every sort of subject, and the readiness with which a man's determination to enrol himself in any one of a considerable number of small coteries, social, political, or religious, is accepted as final by the rest of the world. It is, however, a consequence of the same temper that the pretension to stand aloof from all such coteries is regarded with dislike, and indirectly punished by a noiseless excommunication which gently extinguishes the influence of the man on whom it falls, and quietly shuts him out from all important communication with his neighbours, though it leaves his character and property untouched. This mode of treating all the greatest subjects of thought and feeling as private individual questions on which no public authority pronounces any opinion whatever has, no doubt, many conveniences; but it has also a strong tendency to narrow the minds of those who adopt it, and to give us all the air of dwarfs, living each in a separate corner of the house which our fathers built, and congratulating ourselves on the fact that we no longer find it necessary to quarrel as to who is to give orders, or how the rooms are to be arranged. The great characteristic danger of our days is the growth of this quiet ignoble littleness of character and spirit. Unless liberals are able to do as much in the positive as they have done in the negative direction, they may come to be compared to a man who, seeing a high-spirited horse plunging and rearing and covered with sweat and foam, says to the rider, ''Remove the burden of your weight from that noble creature; take off the saddle which frets his back, and the cruel bit which galls his mouth, and you will see that, instead of wasting his strength in useless struggles, he will travel ten times as far and as fast as you can ride him." If the rider hesitates to surrender his seat, the bystander is apt to cut his girths and bring him to the ground. But what becomes of the horse when his bit and bridle are gone? He does not get over more ground than before. He does not even prance and curvet, but, having kicked up his heels, shaken his head, and possibly rolled, he crops the grass by the roadside in contented ignorance of the hills and plains through which he would otherwise have passed. We have not as yet gone far in the ignominious path which leads to national littleness, though the symptoms that we are in danger of entering on it are neither few nor unimportant, and require the most careful attention of those who have removed—not, certainly, before the time for their removal had arrived—many of the securities which we formerly possessed lor a high-minded management of public affairs. They ought, therefore, now to set up as high a standard as can be raised of the powers and duties of the nation, and to diffuse a knowledge of it as widely as possible amongst those whom they have called into the national councils. It ought to be an elementary and universally acknowledged truth that the whole nation will be disgraced and stultified if the changes which have been and will be made in its constitution do not make our history even more glorious, our institutions more fruitful and venerable, our list of great names and great achievements richer, and our national character graver, stronger, and nobler than it has ever been before. It would be pedantic to affect to lay down rules as to the manner in which such great results could be brought about. Nations grow, like men, by exercise; and their function is, in the noble words already quoted, to discharge magnanimously and discreetly every office of peace and war. Many such offices court our attention, and we should do more to promote true liberalism by discharging them in a liberal imperial spirit than by any number of reform bills, though these, no doubt, have their uses. By way of illustration, a single instance may be mentioned which is, perhaps, the most instructive of all. By a series of events hardly paralleled in the history of the world we have become the absolute masters of the Indian empire, with its 150,000,000 inhabitants. The whole fabric of that empire is a monument of energy, skill, and courage, and on the whole of justice and mercy, such as the world never saw before. How are we to deal with this great inheritance bequeathed to us by all that ought to touch us to the heart, by the courage of heroes, by the wisdom of statesmen, by victory and defeat, by the glories of Plassy and Assaye, by the agonies of Afghanistan and Cawnpore? Here, if anywhere, is an opportunity for true liberalism; here is an occasion where not to be great is to be infamous; here is a test which will try our mettle, and show whether those who have pressed forward to share the government of the country have been prompted by a generous desire to assume functions which they could understand and discharge, or by an ignoble impatience of an inferiority of which their own failure will supply conclusive evidence. If India is governed as firmly and wisely as it has been conquered, we shall have done a great thing, and have taken a great step in marking the governing part of England with that imperial stamp which is essential to the dignity and self-respect of the rulers of half the world; but if we allow that great empire to be ruled in a petty spirit, and permit its greatest interests to be decided by the clamour of noisy speculators, or hot-headed and narrow-minded bigots, we shall have been guilty of a mean, illiberal action, and have shown a temper unworthy of the countrymen of those who, instead of turning empires into shops, raised factories into palaces. The spirit of true liberalism has seldom been more nobly expressed than by one of the most illustrious of all liberals in reference to this very subject. "Nothing under the sun," said M. de Tocqueville, "was ever so extraordinary as the conquest, and above all as the government, of India by the English; nothing which from every part of the world more attracts men's attention to that little island the very name of which was unknown to the Greeks. Do you believe that after having filled such an immense space in the imagination of mankind, a people can retire from it with impunity? For my part I do not believe it. I think that the English obey a sentiment which is not only heroic, but just and truly conservative, in determining to keep India at any price, since they have got it. I add, that I am perfectly certain that they will keep it." India is but one instance of the problems which true liberals must solve successfully if their success is to be a blessing and not a curse. Hitherto they have been critics. They are now to be authors; and if they fail, their success will prove nothing but imbecility. There is hardly an institution in the country from which good fruit is not to be got, if they will only catch the spirit which presided over its formation. In many cases, this has been done with great skill. Very many of the reforms which have succeeded each other so rapidly for the last thirty years have been liberal, in the positive as well as the technical sense; but as the class which governs the country grows more numerous, and, as the slight and hasty opinions of persons who are doomed by their circumstances to a contented, and, for the most part, unconscious ignorance, gradually come to be invested with increasing importance, it becomes a matter of the first necessity to impress upon them the responsibilities under which they lie, and to give them, if possible, a glimpse of the sort of temper in which they must approach the great problems of government, if they are worthily to sustain the burden which eight centuries of greatness and glory have laid on their shoulders.